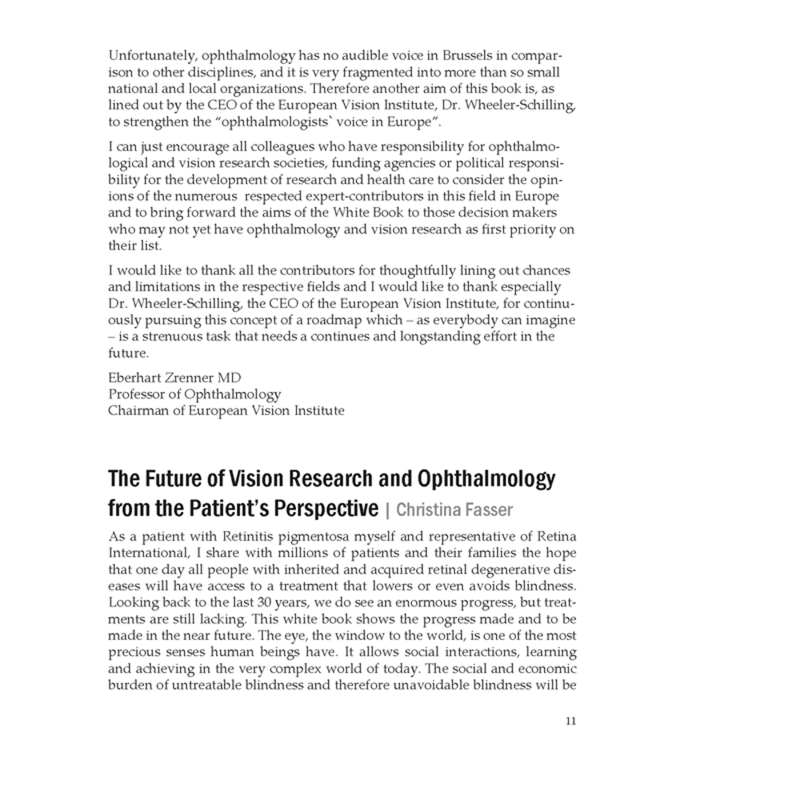 This White Book aims at convincing the major stakeholders in Europe that Vision Research and Ophthalmology is a discipline not only at the forefront of research but also at the forefront of translation of its scientific results into clinical practice. 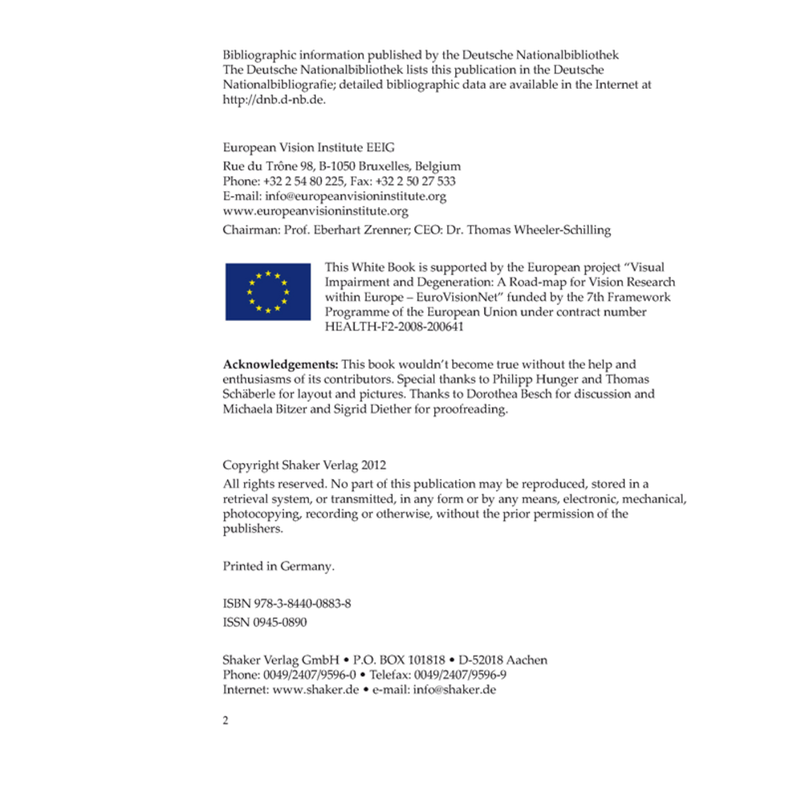 It should increase the awareness of public and private funding organizations, political decision makers and companies about the further development of health research in Europe concerning especially eye health. 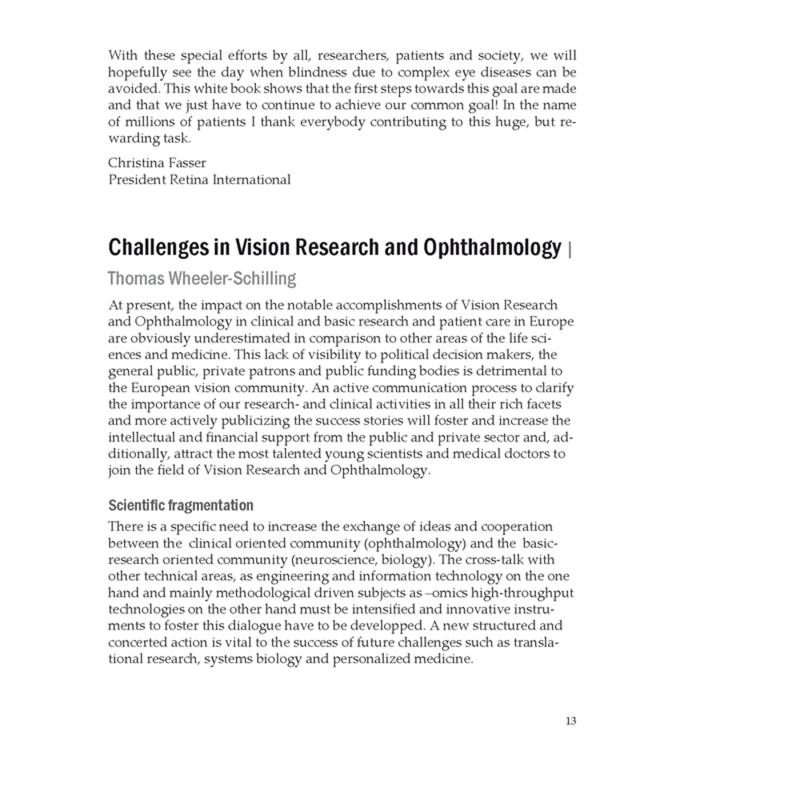 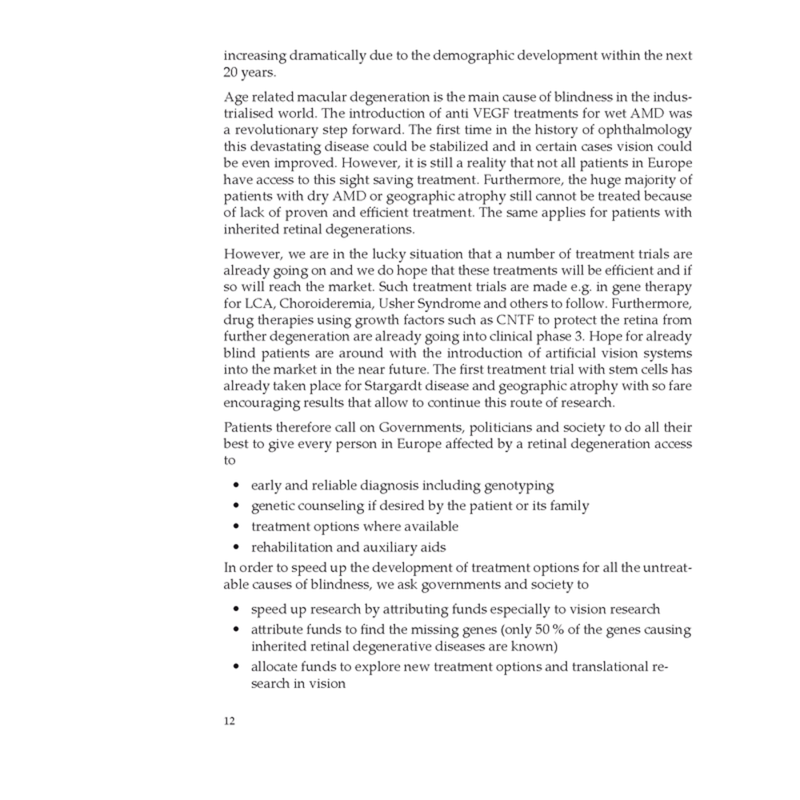 At present, the impact on the notable accomplishments of Vision Research and Ophthalmology in clinical and basic research and patient care in Europe are obviously underestimated in comparison to other areas of the life sciences and medicine. 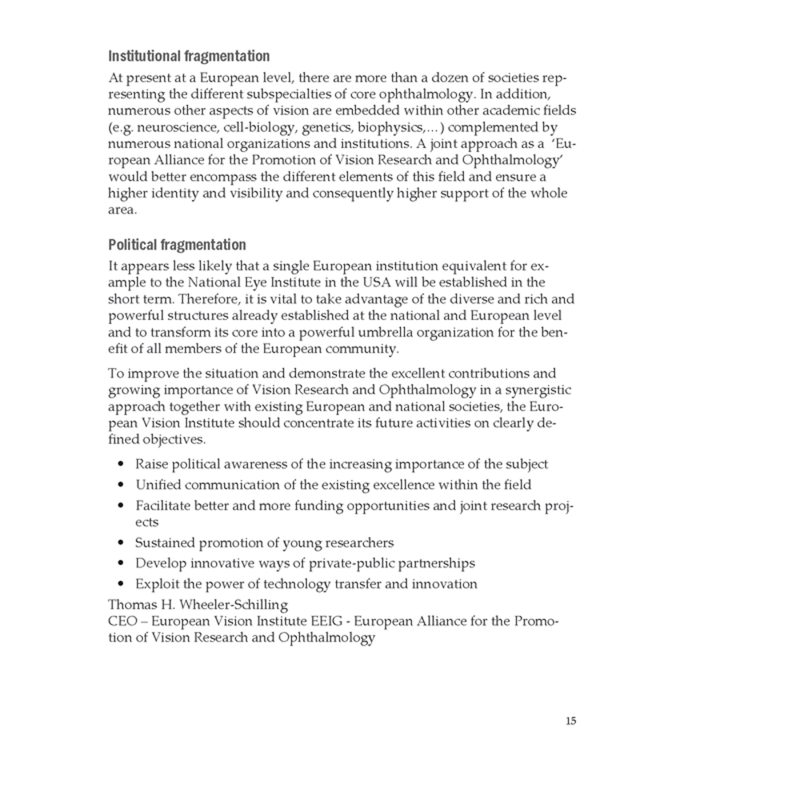 This lack of visibility to political decision makers, the general public, private patrons and public funding bodies is detrimental to the European vision community. 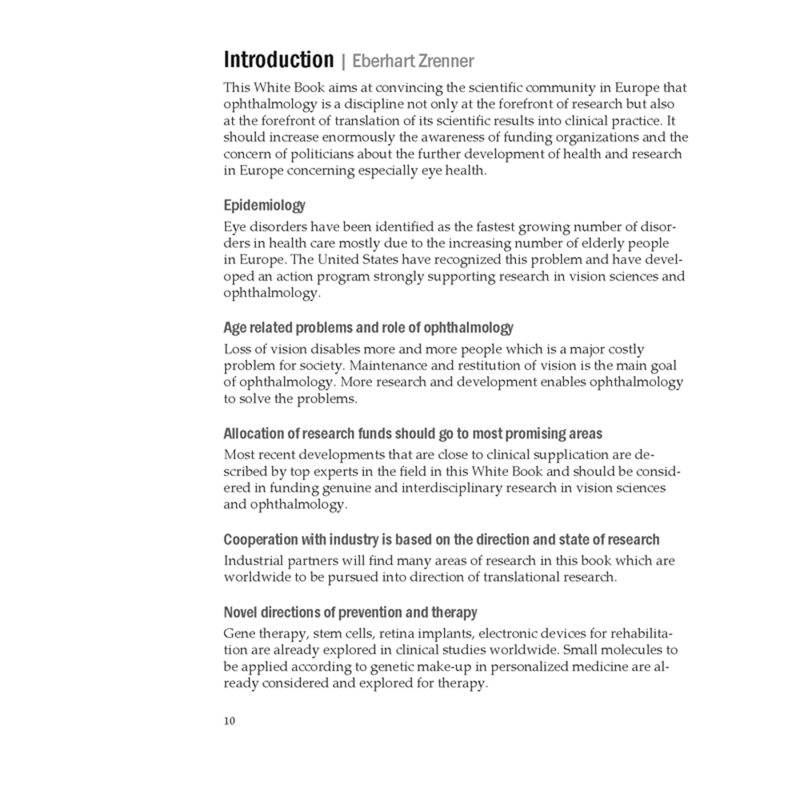 An active communication process to clarify the importance of our research- and clinical activities in all their rich facets and more actively publicizing the success stories will foster and increase the intellectual and financial support from the public and private sector and, additionally, attract the most talented young scientists and medical doctors to join the field of Vision Research and Ophthalmology. 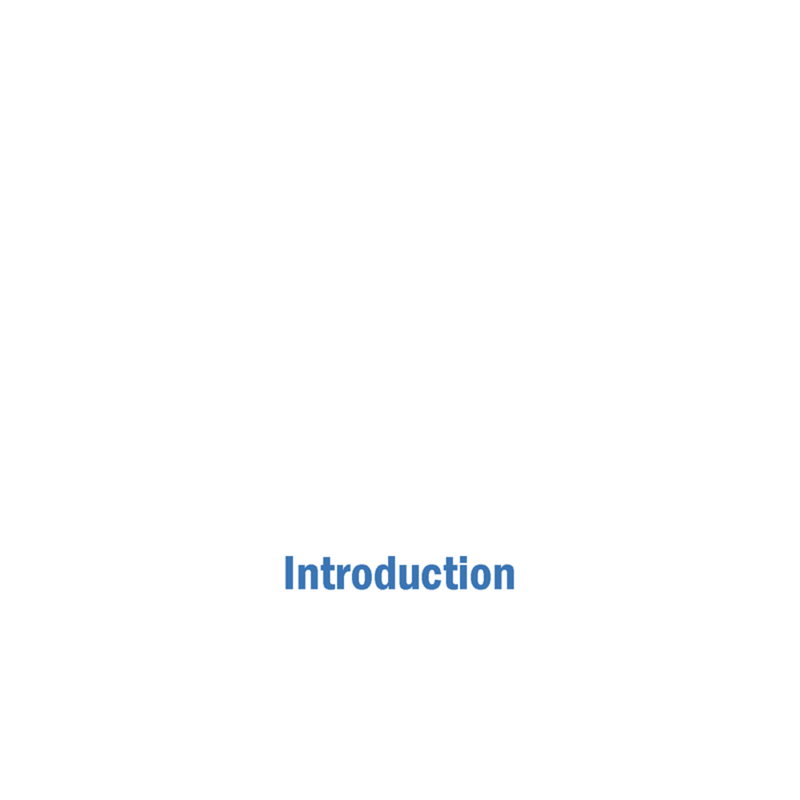 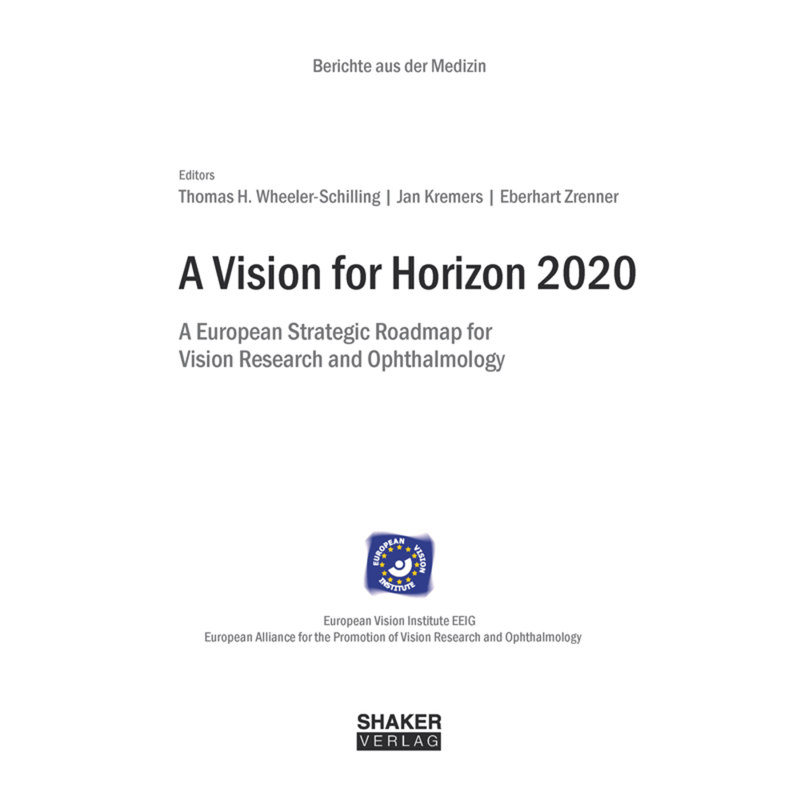 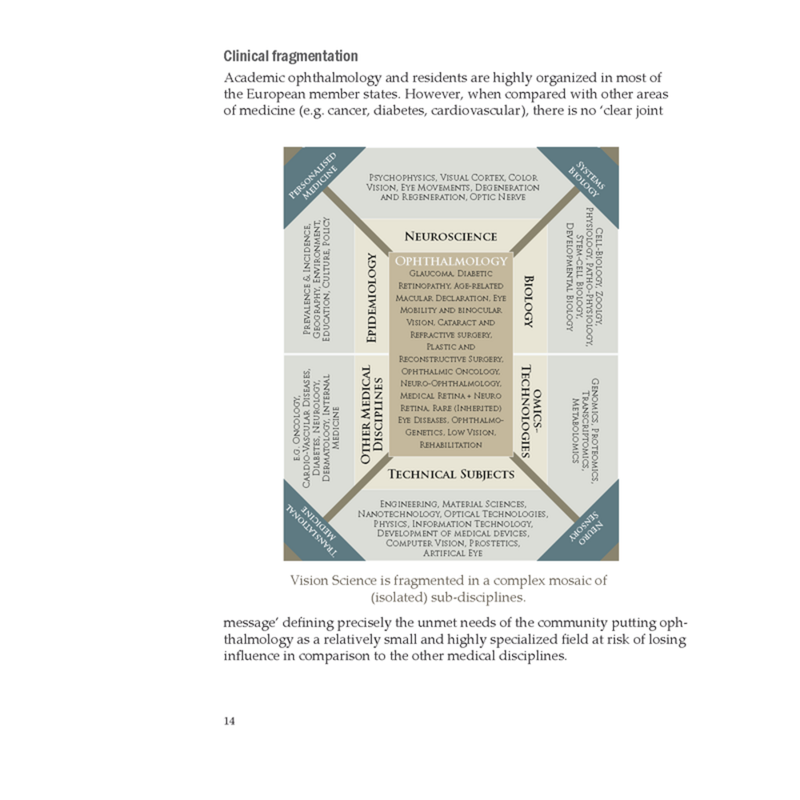 The table of content of the EuroVisionNet white book "A Vision for Horizon 2020 – A European Strategic Roadmap for Vision Research and Ophthalmology"